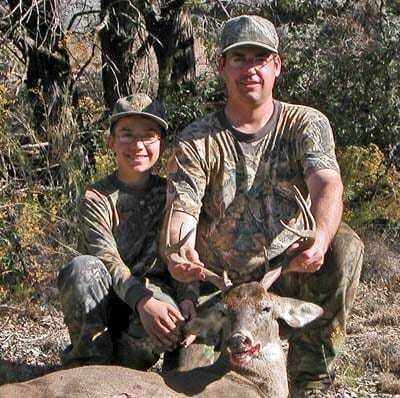 PHOENIX — Arizona Game and Fish Department officials have not found any cases of chronic wasting disease in the state’s deer and elk populations despite the illness being detected in nearby states. Tests for the fatal neurodegenerative disease in 1,342 deer and elk have come back negative. Currently chronic wasting disease (CWD) has been confirmed in the neighboring states of Utah, New Mexico and Colorado. CWD is fatal to deer, elk and moose all of which may not show any visible signs of the illness in early stages of infection. As the illness progresses, the animal suffers progressive weight loss, exhibits abnormal behavior and eventually dies. To further protect Arizona’s deer and elk herds from CWD, new regulations were put into place on the movement of animal parts into the state. As of July 1, 2013 hunters are prohibited from bringing the brain, intact skull or spinal column into Arizona from out of state. Upper canine teeth (buglers, whistlers, ivories) with no meat or tissue attached. For more information on CWD, visit the Arizona Game and Fish Department’s website at www.azgfdportal.az.gov/wildlife/diseases; the Chronic Wasting Disease Alliance website at www.cwd-info.org or the Centers for Disease Control and Prevention website at www.cdc.gov.